Looking for small and unique gifts to add to the stocking this year? Don’t wait until the last minute to buy them. 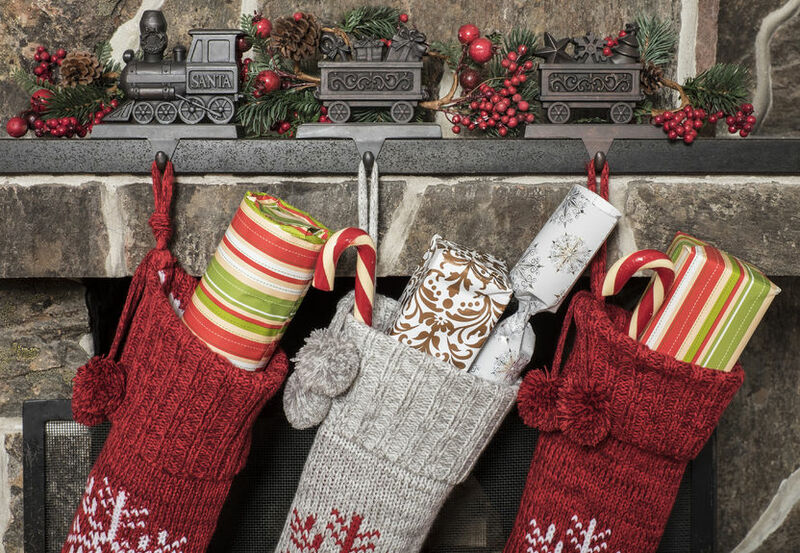 Make them more special and meaningful by giving some thought to your stocking stuffers now. We’ve pulled together a list of our favorite stocking stuffers for women that are sure to delight your special someone. Great statement jewelry can really dial-up an outfit and it’s perfect to stuff in a stocking. Consider picking out a few great pieces like a statement necklace, bracelet, or ring and watch her dig for her treasures. A few of our favorite pieces from our partner, 7 Charming Sisters: The Crowd Pleasing Necklace, Full House Necklace (great with a black sheath dress and power heels), Breathtaking Beneficiary Necklace, Story Spinner Bracelet, Amazonia Ring, and the Moonlight Majesty Ring. For the wine enthusiast, we’ve pulled together some of our favorite accessories that are the perfect size to stuff in a stocking. Wine Pearls to help keep your white wine crisp during the hot summer months. Wine Aging Tool – When dipped into your wine the patented metal alloy on the tip replicates the aging process, softening the tannins in young wines and improving their taste. Red Wine Stain Remover – because anyone who enjoys red wine needs this. Wine Aerator – This elegantly fluted glass spout attaches to any bottle to aerate the wine as you pour. The holidays aren’t the holidays without an endless supply of chocolate treats. And no one does chocolate better than Godiva. So, throw some truffles in everyone’s stocking – Milk Chocolate, Dark Chocolate or Mint Flavor are our favorite. We also love Godiva’s chocolate bars. The dark chocolate with raspberry filling bar is worth breaking the diet for. Make sure your loved ones are warm this winter with a great pair of cashmere gloves. The perfect luxury accessory. We’ve partnered with mytheresa.com for some of our favorite designer cashmere gloves: Dolce & Gabbana gloves long cashmere gloves in grey (consider paring with a classic Burberry cashmere scarf, Missoni multi-color wool & cashmere gloves, and crafted in Great Britain from heavenly soft cashmere Barrie’s fingerless gloves. A unique and fun phone case is a great stocking stuffer. Especially if the recipient is getting a phone as a bigger holiday gift. Consider phone cases that are fun and match the personality of the person you’re stuffing a stocking for. Kate Spade has an iPhone 7 folio that we love. It’s slim, includes a card slot and even a built-in mirror. For the frequent selfie taker, consider a iPhone 6 Case with Built-In Bluetooth Selfie Stick (yes, it exists – this is also a worthy white elephant gift). We also love Kate Spade’s Scallop Leather Stick-on Smartphone Case Pocket. It’s just big enough for a couple of cards and a bit of cash and also fits multiple smartphone models. Wireless is all the rage and our wireless options are getting better and better. We love the chic look of B&O’s Wireless Headphones in Dusty Pink or for the less adventurous they also come in Black. Bluetooth compatible to connect to your phone or laptop. A perfect stocking stuffer for the woman who hasn’t cut her headphone wires yet. The dry winter air can wreak havoc on skin. So, we recommend giving small sized moisturizers. Our new obsession for moisture rich products is coconut oil. Coconut oil is one of the best, natural, ingredients for dry skin. Stuff small containers of coconut oil in a loved one’s stocking this holiday season. Skinny & Co.’s 100% pure skin care products are the best we’ve tested; it leaves our skin feeling smooth and rich. Some of our favorites: Calming Lavender & Coconut Facial Oil, Rejuvenating Facial Oil, and Rose Body Butter. The winter and holiday season is the perfect time for warm, comfy socks and slippers. So, stuff stockings with some fun and warm socks or slippers. A few of our favorite styles: Red Brick Bear Socks, Knee High Cable Knit Slippers, Slipper Booties, and these Critter Slippers in Polar Bear or Bunny. They’re just the right amount of fun and function for a holiday gift. For the travel enthusiast in your life, we’ve discussed the perfect piece of jewelry that matches fashion with function. Designed by women who have a passion for travel, metro city cuff bracelets with metro maps for the world’s largest cities – NYC Metro Cuff, Chicago Metro Cuff, San Francisco, etc. – are the perfect chic accessory for the stylish traveler as well as a functional gift. And they’re sure to be a unique gift for the stocking this season. When in doubt on what to get, gift cards are always a goof choice, but make them special by purchasing a gift card that has a special sentiment for the recipient. If her favorite store Neiman Marcus or Nordstrom? Does she love shoes? If so, consider a gift card from Zappos. A shoe lovers paradise and they offer free 2-day shipping. Or consider getting her a gift card to a spa.